Combine PDF Files allows joining PDF documents pages together and split merge PDF files into several PDF page. PDF Splitter merger software can divide break split PDF document into single PDF pages. Merging PDF files program can arrange the files in the order you want them to appear in the new PDF files. PDF splitting Software is the well known application to easily make PDF document. Combine Multiple PDF Files software use for combining PDF file, joining PDF Documents, merging PDF Pages, breaking PDF files. PDF Combiner Join and arranges several pages as well as PDF files. PDF splitting merging documents also delete or remove PDF pages from bunch of PDF Documents. PDF Merger can change PDF pages size. PDF merger software has a very user-friendly interface and easy to use application. PDF Joiner is a simple desktop utility program that lets you merge two or more PDF files or Acrobat PDF files into a many PDF file pages. * Add PDF join and break PDF document pages. * Merge PDF files application support to edit the particular page into PDF requirement. 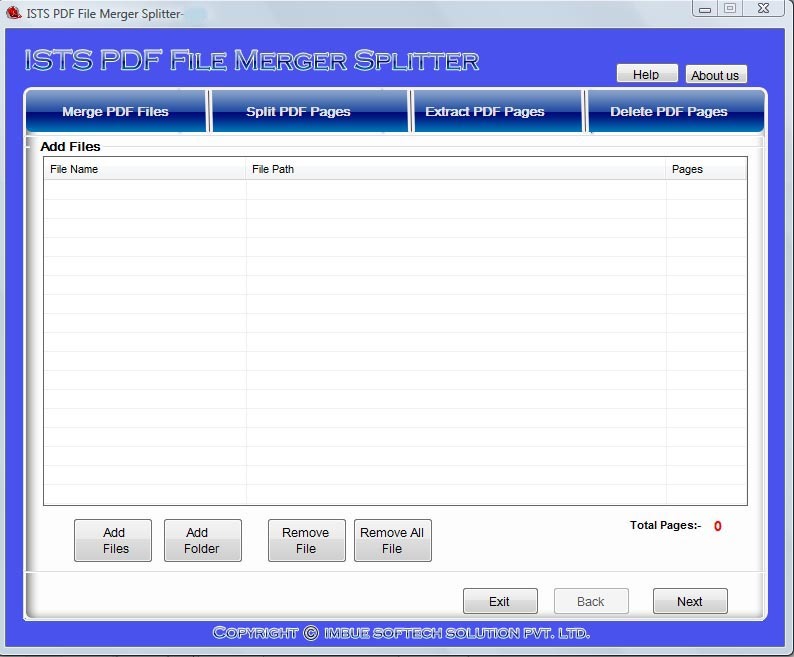 * PDF Splitter utility provides solution for the entire merging splitting. * PDF file merger can change PDF pages size. * Add PDF files also remove pages from PDF documents. * PDF Combiner software is Very attractive and simple software. * PDF joiner Supports batch PDF document files.